The movement in mortgage rate averages for Friday, May 17, didn’t go very far compared to Tuesday’s measurements earlier in the week. Despite the fact that the latest jobs report shows sustained improvement and that housing starts are lower, the rates still remain locked in on the 3.68 percent target for 30-year mortgages. Additionally, inflation has not reared its head anywhere to cause further concerns. However, it is clear to many watching the markets that this figure is now solidifying as the floor versus the top of the range. Mortgage-backed securities, which have quite a bit of influence on where loan rates go, seemed to be in a rally for the second half of the week. This trend seems to be helping with increasing rate levels versus dampening them further. Market watchers can now comfortably say that the securities are not contributing to going lower any longer. Given the general improvement feeling on the market, and no signs of a downward movement materializing anytime soon, rate averages have held their previous positions and moved sideways in terms of progress for the trend-line analysts. The 30-year fixed mortgage, as noted above, is well entrenched at the 3.68 percent mark, but 3.75 percent is now starting to appear in a number of lender offers. 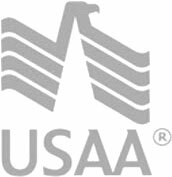 The FHA/Veteran’s Administration loan rate remains the best way to go for those eligible staying at 3.25 percent. The 15-year fixed mortgage widens a bit from 2.75 percent to 3.1 percent, and the 5-year adjustable rate mortgage average floats between 2.625 percent and 3.25 percent with a strong average hugging 3 percent.